The book also encompasses on classical study, molecular study, bioinformatics in nematology, biodiversity analysis, and culturing of nematodes in laboratory condition. Nematology being an established discipline covers a wide range of area ranging from basic aspect to the advanced and applied aspects involving recent advances in molecular techniques. 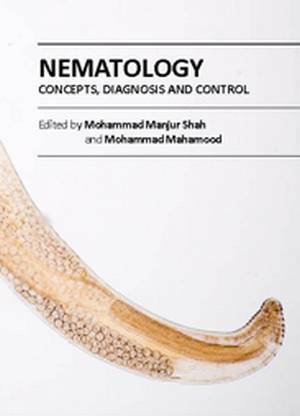 This book discusses the following topics: the role of nematodes in our life (in agriculture, ecosystem functioning, experimental biology, ecological studies, pest management programs, or biocontrol), identification of GRSPs in nematode genomes, novel way for the diagnosis of pathogenic nematodes involving various recent molecular techniques, other methodologies for successful control of termites, evolution of plant-parasitic nematodes, viability of adult filarial nematode parasites, the impact of plant-parasitic nematodes on crops, and harnessing useful rhizosphere microorganisms for nematode control.